You will have landed on this webpage because you are looking for entrepreneur information on how to set yourself up as a home based digital entrepreneur. Read on to learn more. The great thing about being a home based digital entrepreneur is you can leverage technology and especially the internet to reach potential customers all over the world. The entrepreneur information I am going to share with you will enable you to create a digital lifestyle and the income levels that your desire. According to reports there were an estimated 2.5 billion people every day logging online and spending millions of dollars. This was back at the end of 2015 so that is only just 17 months ago. Imagine how many people there are now online and how many transactions are going through. You could have your own piece of this enormous pie just for yourself! Becoming a digital entrepreneur gives you the flexibility to work from home, wherever that is in the world. Imagine not having to sit behind an office desk for 8 hours a day and trade your time for money! 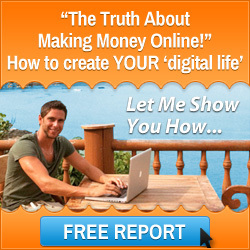 You could even be making money from 35,000 feet in the air with your online business working for you in the background. How does that sound? Well that must sound pretty good but how can you make all this become a reality? The following entrepreneur information provides a three step process and then I am going to let you access a free resource which shows you how to piece everything together. Every business needs products and services to sell and these can be physical products or digital products. Now as a new business startup you probably don’t have any products or services of your own. This is where new entrepreneurs make a huge mistake in trying to create the product first. What you must do is find a need first to become successful. If there is no one looking for your product then your business may be over before it has even started. So you need to find an audience of hungry people who have problems that need to be solved. This is where you step in and become the problem solver and either create the products or find ready made products that fill the need and sell them as an affiliate. Every business needs a strong foundation and if you think of the traditional business world this maybe the physical presence that they hold on the high street or industrial park. 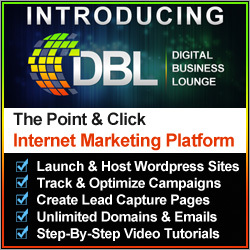 For the digital world your presence is your website, your database of leads and customers and your social media profiles. This is your virtual real estate and you can bet that your competition will have all this in place. So if you do not build your foundation then your potential customers will drift off to your competitors. As regards your website it should look professional, clean and easy for the visitor to navigate around. Also you should ensure that your website loads quickly as we have all been there and tried to go onto a website and a circular icon appears in the middle of the screen going around and around. I bet like me you get fed up and click away and never go back. As a digital entrepreneur you can’t afford to let this happen. Once they have landed on your webpage you literally only have a few seconds to grab their attention so you need to have a facility where you offer some incredible information for free in return for their name and email address. 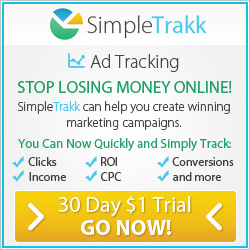 This is called an opt-in box and it is linked to an auto-responder where you can build that database of people that you can market to in the future. The opt-in is important because the person is giving you their permission to contact them in the future. Social media has become a lot more than just watching funny videos and keeping in touch with your family and friends. This is probably where you are going to find the majority of your customers and businesses use social media for marketing their products and services. Build your social media platforms and post high quality content about your business. This will then attract people to your business and then they will get to know, like and trust you. People buy from people so it is vitally important that you build a relationship with your subscribers and customers. You can do this through your auto-responder service by constantly providing value to your list of subscribers and through your social media platforms. Establish yourself as the expert in your field and the go to person for help. Ensure that everything you publish is high quality and mix it up with videos, images and written content. You need to get people hooked on your content so they keep coming back for more. Another way to building relationships with new prospects is to have a lot of social proof on your website and social media platforms. You can do this by getting testimonials from satisfied customers and also proving that your products and services work. If you are ready to start building your online business then why not leverage the training, mentoring, products and services along with the resources that the Six Figure Mentors offer? 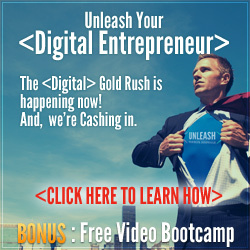 They have complete digital business training programs and business systems already set up so you can hit the ground running to take a lot of the guess work away. To learn more about how the Six Figure Mentors can help you click on the image below and register for a complimentary 7 day training series which shoes how to start an online business from scratch. I hope that the entrepreneur information that I have shared with you today has helped you in your quest to become a home based digital entrepreneur. Start your training today by clicking on the image above. This entry was posted in Six Figure Mentors, Start Home Business and tagged entrepreneur information, home based digital entrepreneur, how to start a profitable online business, mark ford, six figure mentors. Bookmark the permalink.